If you ever wondered where our shortest president scurried off to while his home was being turned to ashes by British soldiers, wonder no more. The escaped to a small, quaint town a little over 20 miles outside Washington, D.C.
Before Dolley famously saved the a portrait of George Washington, her husband was observing the soldiers advance on Washington. As the city started to burn, President Madison fled south to Virginia before turning around and hightailing it back to the Old Line State (that’s Maryland) and finally reached Brookeville late in the evening on August 26, 1814. (Don’t worry y’all, Dolley was safe first in Georgetown and then escaped into Virginia.) Rumor has it that Madison lugged a safe that carried the entire U.S. Treasury during the entire journey. 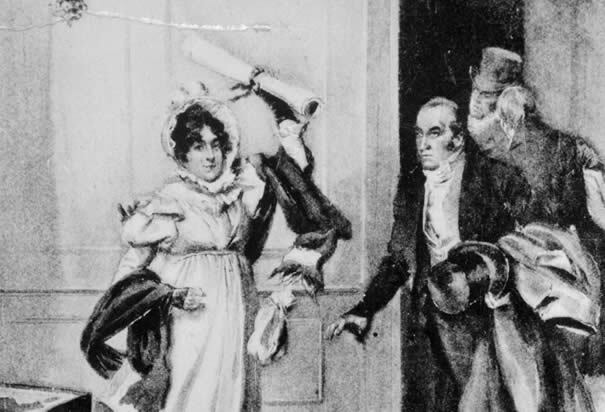 Madison reached the home of Caleb Bentley, whose wife Henrietta Thomas was a close friend of his wife Dolley. 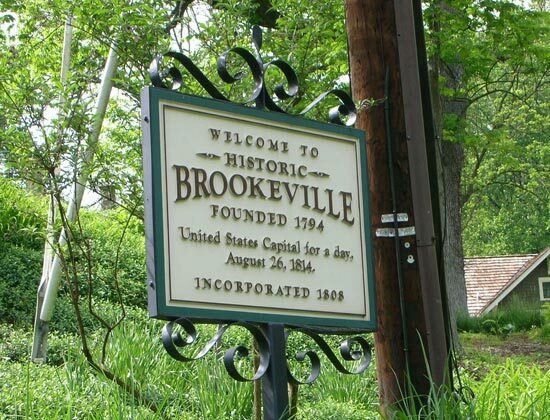 Today, Brookeville remains a small, quiet town of less than 200 residents. But for those that pass through it, it holds a very important piece of history. Do you have any areas of historical significance in your hometown?